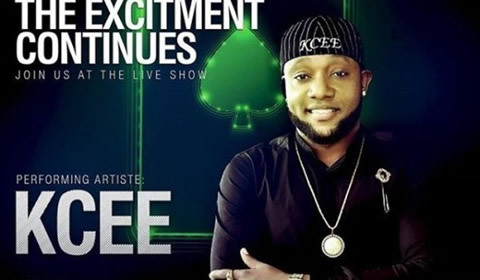 Renowned Naija hit-maker Kcee is set to rock the stage at tomorrow's Live Show. Sunday night's live show is going to be loud, large and embellished with only the best melodic vibrations thanks to Nigerian superstar Kcee. Exploding onto the music scene in 2013 with his smash hit "Limpopo", Kcee has been making his mark on the industry ever since. Formerly a part of music duo "Kc Presh" along with his long-time friend, Kcee found his passion for music in Church. This smooth crooner is signed to Five Star Music and will be bring the fire with his hit "Desire" which he released last year on his birthday, the addictive track was produced by beat maker Mystro and has grossed over a million views online. "Pull over" will also be performed at the Live Show, this track originally features Nigerian golden boy Wizkid and is sure to get you grinding. Wetin you dey expect for the Live Show?